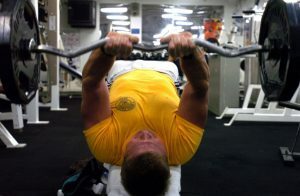 We all know we should workout more, but with the hustle and bustle of daily life it can be difficult. 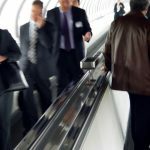 Exercise and fitness methods that break workouts down into smaller blocks have become increasingly popular, like four minutes or seven minutes. Although short workouts can be great, to get the best results you should also try to include longer sessions every so often. 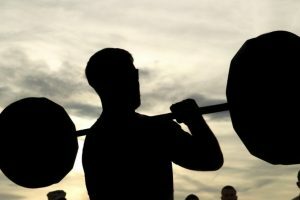 To get stronger and fitter, you need to push closer to your physical limits. A regular 45 minute workout routine is an excellent way to gain strength and burn more calories. 45 minutes is a great amount of time for your regular work out. Not only is it a long enough workout for you to see great results, but it is also not long enough to become inconvenient or boring. A longer workout also gives you the flexibility to warm up and cool down properly, minimizing the risk of injury. For most of us, the idea of a monotonous, repetitive workout is our worst nightmare. Often, what puts people off working out regularly is not having enough knowledge of what to in the gym. 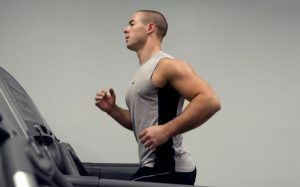 We’ve all seen that one person running on the treadmill for an hour like a hamster on a wheel, simply because they don’t know what else to do. Having the right mindset and attitude towards exercise is key in successfully attaining your goals. And finding exercise that works for you is a really important part of this. There are a number of different workout options for both in and outside of the gym that can benefit you hugely and keep you interested at the same time. When building a personal workout plan it is important to think about your personal goals and what you would like to achieve. Do you want to lose weight? Do you want to build muscle? Or perhaps you have specific areas you want to target? By setting realistic and achievable goals, you can design the perfect workout plan for you which will help you to see the results you want. Before we dive into the specifics, remember your workouts don’t have to be complicated, 45 minutes of cardio either out on the road, or on a treadmill might be all you need to meet your fitness goals. A brisk walk for 45 minutes could easily burn over 250 calories. 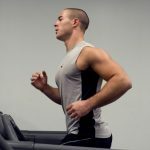 Check out our post on the best compact treadmill if you’re looking for options to workout at home. You can do an intense 45 minute workout at the gym with a pre set routine. By doing this, you can use your time to perform a number of exercises using the equipment which will target specific areas of your body. Many gyms will have personal trainers or coaches on hand who will be able to help create the best 45 minute workout for your specific needs. 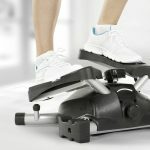 20 minutes on stationary bike interval training – For 20 seconds pedal at full intensity with a max energy output, for 10 seconds pedal at a resting pace. Repeat this process for the entire 20 minutes. This simple, whole body workout can be adjusted in order to reach your specific goals. Much like at the gym, you can also do an intense 45 minute workout at home. Again, you can choose exercises that will help you achieve your personal goals. Many people find a number of benefits to working out in the comfort of their own home, especially as it is incredibly convenient and you can do so at any time of the day. The beauty of a home workout is you can perform exercises without any equipment, at your own pace and in the privacy of your own home! Another great way to get an excellent workout is through an exercise class. Classes are fantastic for people who don’t enjoy the traditional gym workout. They offer a fun, social way to get fit and are still a high intensity workout at the same time. Classes also offer ongoing variety. 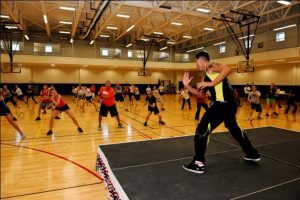 Although many of us have heard of Zumba and Spinning, like anything, new trends of exercise classes happen each year offering new and exciting ways to work out. Barre Fitness: Burning around 400-500 calories in a 45 minute session, this class offers participants a feel the burn style work out that works on overall toning and core strength. Based around traditional ballet, this class is designed to give you the sculpted physique of a prima ballerina. Just Jhoom: Burning around 500 calories in a 45 minute class, Just Jhoom brings all the magic of India to the dance studio! Offering a complete body workout, an energetic dance-based class inspired by traditional Bollywood dancing. Outdoor Bootcamp: Burning around 300-500 calories per 45 minutes, Bootcamps offer the opportunity to perform a workout in a group setting but outside the traditional four walls of a fitness studio. A high energy form of circuit training in a beautiful outdoor location. Exercise classes are a terrific solution for many people to achieve that 45 minute workout. Plus, in a class you don’t need to concentrate on your own routine, simply follow the instructor. You can find classes at your local gym, dance studio, YMCA or even church hall or community centre, but all classes come at an added cost. Tabata is a popular form of workout routine based around the principals of high intensity interval training (HIIT). Although the idea was originally developed for Olympic speed skaters, it can be used today by anyone. A 45 minute Tabata workout is popular because it is easy to remember, following a 20 seconds on, 10 seconds off rule on all exercises. In a Tabata workout, you do each exercise for four minutes. For example, you could do burpees for 20 seconds, followed by 10 seconds rest, and repeat a total of 8 times. In order to set a long term goal, you can follow any of the above plans, mixing exercises to work on specific areas in one session over a period of six weeks. Remember that for best results, you should make sure you include regular rest days into your plan. Over exercising can lead to fatigue and injuries. View an example plan here. Ultimately, a regular 45 minute workout routine, whether at home, in the gym or as part of an organised fitness class, is an excellent way to blast some calories and improve your fitness and health. If you seriously want to get fit, an intense 45 minute full body workout will unquestionably help you to achieve your desired results. Remember, 500 calorie fitness is all about balanced workouts, and making sustainable changes to your life for the long term. Combing these longer workouts even just two or three times a week, with a healthier diet (such as the 500 Calorie Diet), and a general commitment to a more active lifestyle, will have a massive impact on your overall wellbeing.